According to custom, celebrations for the year of residence of the World Design Capital begin already on New Year’s Eve, when the whole city brings in the New Year together. Thus Helsinki, World Design Capital 2012, also brought together its townspeople on the evening of 31 December in the Senate Square, where the highlight of the night was a viewing of the largest scale 3D architectural projection to date, which brought the city’s Cathedral to life for three minutes (projection authors – Finnish Mural Media). The video includes illustrations by Finland’s best graphic designers, including representatives of the Agent Pekka agency, recognized as the best in Finish graphic design in 2011. The tradition of selecting a World Design Capital or WDC every two years was initiated in 2008. The first to receive this title was Turin in Italy, while in 2010 it was taken by Seoul in South Korea. The founders of the tradition are Canada-based non-profit organization Icsid (International Council of Societies of Industrial Design), who are concerned with the popularization and development of industrial design around the world. In October 2011, the next World Design Capital was chosen – in 2014 it is to be Cape Town, the South African city on the shore of the Atlantic Ocean by the Cape of Good Hope, and the parliamentary capital of South Africa. Cape Town, where democracy was introduced two decades ago, has in recent years focused on the active integration of design as a tool for the development of a modern, open and vibrant city. Throughout 2012 and up to spring 2013, Helsinki is offering an abundant programme of hundreds of events and exhibitions. The unifying theme is the basic concept of design accessible to everyone, while a look through the event schedule shows that the convergence of creative fields is continuing with more and more intensity – no one is making it their mission anymore to separate art from design, or to strictly distinguish between fashion, industrial, or food design, for example. It is only natural that each field has its own individual core, distinguishing it from the others, but the benefits and creative full-bloodedness to be gained from allowing the fields to enrich each other is just as clear – uncovering both new questions and unprecedented opportunities. The programme allows you to explore Helsinki, becoming familiar not just with the city centre but also other neighbourhoods, as well as nearby cities such as Lahti and Espoo. Although the programme is broad and must be explored individually, Arterritory.com is offering a selection of 20 must-see events – short-term ventures as well as special locations and exhibitions. Events are listed chronologically. The doors of the WDC Helsinki 2012 team’s office have already been open since 1 September 2010. It has lodged next to the Senate Square, in one of Helsinki’s oldest stone buildings, originating from 1808. The house was renovated specifically for the needs of the central headquarters. 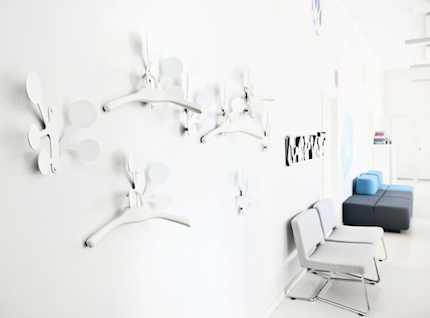 Since the keyword in Helsinki in 2012 is design, this is also embodied by the organizational team’s office. The interior is the creation of designer Martela Oy, who took into account the colours and graphics characteristic of WDC Helsinki 2012’s visual identity, as well as the philosophy of accessible and everyday design. Finnish design can be found inside the house, of course, including Octo lamps by Secta Design, Eero Arnio’s SwanXL light and Mikko Laakkonen’s Sparks coat racks. The office is open until 30 April 2013. WeeGee Exhibition Centre is home to five museums, a gallery of modern art, a media art centre as well as a museum shop, and is located in Espoo, the second largest Finnish city after Helsinki. More precisely – in the Tapiola district of Espoo. Tapiola is notable for being one of the first “new town” projects in post-war continental Europe – it was built in 1951. The eastern part of the town of Espoo borders with Helsinki. 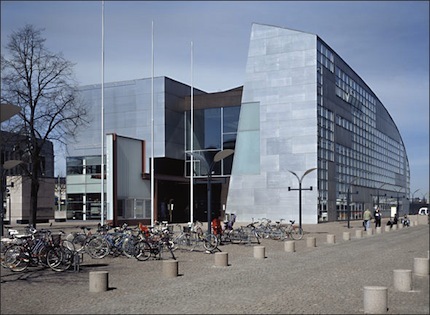 The WeeGee Exhibition Centre also houses EMMA (Espoo Museum of Modern Art), which is one of the largest museums in Finland. Additionally, for the period of WDC Helsinki 2012, Design Espoo! will be located inside the WeeGee – the central support location, event and exhibition space for the design capital within the town of Espoo. 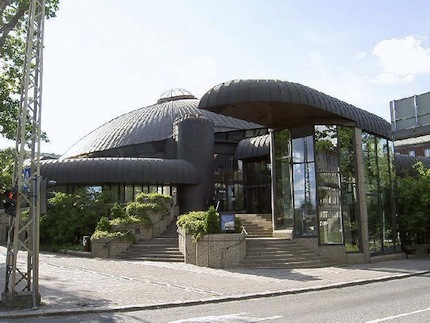 WeeGee is located in the former Weilin&Göös printing house, built in the 1960s, which gave up its earlier function a decade ago and now serves as a centre for art, design, and various other exhibitions. Both the Espoo Design! centre and the EMMA museum will host a number of large exhibitions in 2012, the most significant of which have been included in the Arterritory.com selection. This includes the BMW Art Cars project and the Global Nordic Design 2012 exhibition. On 4 January, a new design gallery will open in Helsinki, with plans to show 12 design exhibitions in 2012, covering both ceramics and craftwork, as well as furniture and conceptual design. 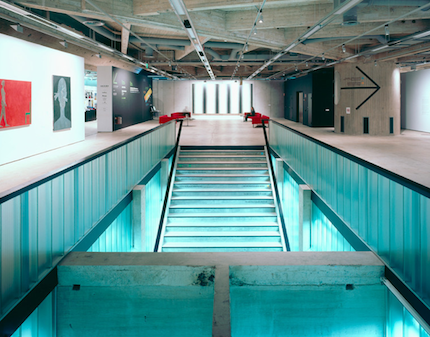 The Design Gallery 12 premises are located within the Helsinki Design Museum. The first show from 4–29 January - Finnish Design Unwrapped – consists of photographs by Jani Kaila capturing 19 contemporary Finnish designers in a wide variety of everyday contexts: at work, at home, at leisure, or in places they draw inspiration. “My intention was to understand how designers work and relax; where they get their ideas from. It was important to maintain a natural atmosphere, as free as possible for them,” Jani Kaila notes. Within the portraits, a distinctive place has been allocated to the items cherished by the designers, which the photographer has strived to capture as vividly as possible, so that their distinguishing qualities may be read instantly. 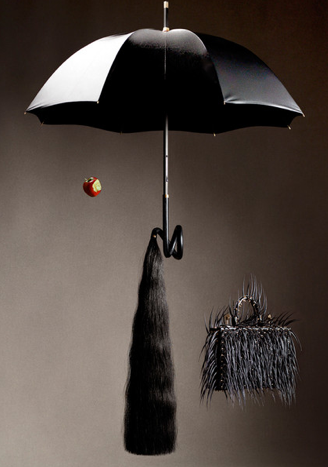 Finnish-born photographer Jani Kaila lives and works in London. His works have gained wide acclaim and been printed in esteemed publications, including The New York Times. The Unwrapped exhibition was also shown at the London Design Festival in autumn 2011. For information on other Design Gallery 12 exhibitions, please see the WDC Helsinki 2012 website. In the town of Lahti, 100 km from Helsinki, designers, artists and artisans have concentrated along two blocks of one street for the whole year. On a specific Saturday of each month a themed outdoor event will take place: in December it was the Christmas Market, in January the event will be Snow Design, while April, for example, will be devoted to the relationship between design and music. 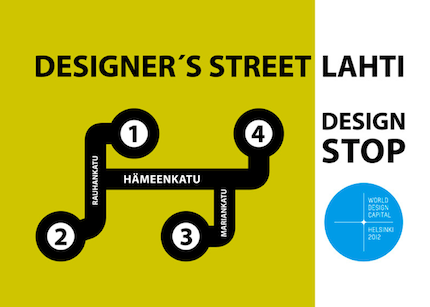 Designer’s Street Lahti is like a regular urban festival for both adults and children, as well as being a wonderful opportunity to get to know the Finnish port city of Lahti in a lovely atmosphere. On the evening of 2 February, an awards ceremony will take place for three significant design and architecture prizes, including the World Design Impact Prize, presented by Icsid for the first time. It has been established with the aim of awarding socially responsible design around the world, and among the finalists are designers from India, Hong Kong, Chile, Kenya, Haiti and the USA. The Alvar Aalto Medal and Estlander Prize will also be presented. 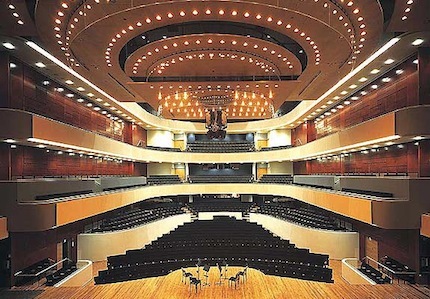 The ceremony will be held in the Sibelius Hall in Lahti. The international Alvar Aalto Medal is awarded every few years (the actual number varies from 3 to 6) – to an architect or architecture company for its achievements in the field of creative architecture. The first Aalto medal was presented in 1967, when Alvar Aalto himself received it. In 2009, the 10th medal was awarded to Danish architects Tegnestuen Vandkunsten. The Estlander Prize was established in 2000 by Design Forum Finland to award those who have made a noteworthy contribution in the promotion of local design. The amount of the prize is EUR 5,000, the winner receives a bronze medal, and the award is given not just to practicing designers, but also to design journalists, for example. The very first prize (in its founding year) was presented to Carla Enbom (1934) and Pekka Suhonen (1938–2011) – design critics, essayists and journalists. In 2002, however, the prize was received by Kirsti Paakkanen (1929), who purchased the long-time Finnish textile producer Marimekko at a decisive moment in 1991 and subsequently made it into one of the leading Finnish design companies. The Estlander Prize has not been awarded for the last 10 years, making the ceremony on 2 February 2012 an even more special and long awaited event. One of the world’s major design awards today in terms of money – the INDEX award - was established in Denmark, and is presented every two years. The works of 60 finalists from 2011 are currently on display in a travelling exhibition which had its first stop in Copenhagen in the autumn of 2011 and will be on view from May – June 2012 on special black futuristic stands in the urban environment of Helsinki. The exhibition has plans to travel the world until 2013. This year 966 designers submitted their work to the competition. The INDEX philosophy is not to give a prize simply for high-quality design, but specifically for work which significantly improves human life around the world and is socially active. Overall, the competition has five winners in categories such as Body, Home, Work, Play, and Community. The total budget of the prize is USD 800,000, split fairly among all five winners. In 2011, winner in the Body category was the See Better to Learn Better programme within which free corrective eyewear is to be distributed among Mexican children; designer – Yves Behar from Switzerland. The best offer in the Home category was acknowledged to be the revolutionary new housing model Elemental Monterrey, which is also meant for Mexico and has been developed by Mexican designers from the ELEMENTAL alliance. In the Work category, the main prize was received by the Design for Change project from India, a design-based school competition for children, which would allow students to express their ideas for a better world and put them into action. Am ‘invisible helmet’ for cyclists, originating in Sweden, won in the Play category. As a solution to the problem of many cyclists seeing a helmet as a hindrance, Hövding have created an airbag for the rider’s head, which looks like a collar in its inactivated form, but inflates on impact and produces a soft helmet around the head. In the fifth category –Community – victory was achieved by the impressive initiative Design Seoul from South Korea, the first ever coherent design-based approach to improving the daily life of city dwellers. ÖÖ: Was it a Dream? This short-lived exhibition and group of events brings together designers and other masters of creative professions such as photographers from Sweden, Denmark, Finland, Iceland, Norway and Estonia. ÖÖ translated from Finnish as well as Estonian means “night”. ÖÖ: Was it a Dream? is a travelling initiative that might even be called a movement, promoting the new Nordic philosophy - a new type of luxury comes into being through creative collaboration, with selected local materials as some of the main ingredients in unique new products, from food to fashion design. Before arriving in Helsinki in May 2012, ÖÖ: Was it a Dream? will be launched at London Fashion Week in February of the same year, where a conceptual fashion installation will be created with the participation of three Estonian fashion designers. By the way, ÖÖ: Was it a Dream? 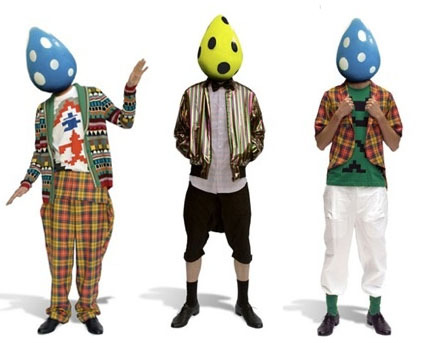 also made its debut in London – in autumn 2010 as part of the annual London Design Festival, when it took part as a pop-up gallery and concept store, representing young avant-garde designers from six Nordic countries. At the Helsinki event, local architects will also be significantly involved, helping to create a special exhibition set design and dissolving the boundaries between various creative fields. The exhibition at the Design Museum is a must for anyone interested in the answer to the question: how did Finland recover from its post-World War II economic difficulties to emerge with the status of design Mecca? The important role and visibility of Scandinavian design on the world design map must be taken into account. This exhibition showcases the finest examples of the so-called golden years of Finnish design, as well as offering more information on the Finnish designers of the time, who also gained a significant international reputation. Since 2002 the Museum of Finnish Architecture has been organizing a biennial exhibition, looking at the major achievements of Finnish architects over the past two years, from private homes to urban planning projects. The exhibition works are selected by a jury, and the summer of 2012 will see a show of the feats of 2010 and 2011 in the large hall of the Museum of Finnish Architecture. This is a great opportunity to become familiar with the latest and best in Finnish architecture and the projects of Finnish architects abroad, all under one roof. Bringing together 15 contemporary artists and designers from Finland and elsewhere, the Camouflage group exhibition is being organized within the framework of the WDC Helsinki 2012 programme by the KIASMA Museum of Contemporary Art. At the basis of the exhibition is the thesis that design and art – two fields of visual culture – are not actually that distant from one another. The biographies of many artists and designers often demonstrate that they have gained their education in both of these fields. The theme of the exhibition - camouflage - on the other hand, is trying to show that design and art may disguise each other, making it almost impossible to determine where one ends and the other begins. Work from the KIASMA collection is also included in the show. Kunsthalle Helsinki is hosting a summer-long exhibition as well as a programme of various events dedicated to the centenary of ORNAMO. ORNAMO is an association of Finnish designers, established a century ago - in 1911 – with the aim of making the 20th century a vivid and noteworthy period through the media of industry and art. The “design century” set as a target by ORNAMO is closely connected to how Finnish history, identity, human aspirations and daily life have evolved throughout the past hundred years. The exhibition has been designed as a question: what future are we building now? How do we want to see the 21st century? The look back at the ORNAMO centenary is simultaneously an invitation to view the possible shapes of the future and to fashion them knowingly. 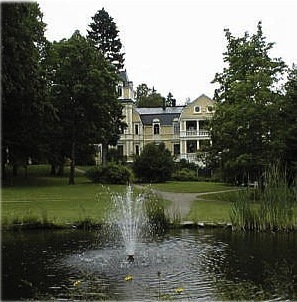 Pyhäniemi Manor is a fantastically beautiful place in the town of Lahti. In the 1930s and 1940s it served as a location for several noteworthy Finnish films. Pyhäniemi already appeared as a medieval manor house in the mid 15th century, but only reached its greatest size at the end of the 19th century, when it expanded its territory to approximately 10,000 hectares. The manor has been open for public view and art exhibitions since 1982. Ever since then, high-quality contemporary art exhibitions have been held in the estate’s territory every summer. As part of the WDC Helsinki 2012 programme, the summer of 2012 will see the annual exhibition Pyhäniemi 2012, which displays art and design alongside each other, choosing a leitmotif of sustainable development and audience involvement. The aim of the exhibition is also to showcase artists working in the area between visual arts and design, as well as to increase the interest and attention of art collectors regarding design and crafts. New and unknown designers and artists will be featured alongside professionals who have already carved out a place for themselves. In addition to the exhibition, selected concerts will be held throughout the summer. Where is Nordic design heading today? The Global Nordic Design 2012 exhibition at Espoo’s museum of contemporary art offers the chance to become familiar with five influential world-class designers and designer teams from today’s Scandinavia, and thus evaluate the tradition of design and current changes. Fashion designer Steinunn Sigurdardottir (Iceland), industrial designer and sculptor Harri Koskinen (Finland), fashion designer Henkrik Vibskov (Denmark) and the furniture design teams Norway Says (Norway) and Front (Sweden) are all taking part in the show. During the last five years, all of these designers have received the Torsten & Wanja Söderberg award, which is the most valuable design award in the world in terms of money – the prize of one million Swedish crowns (approx. 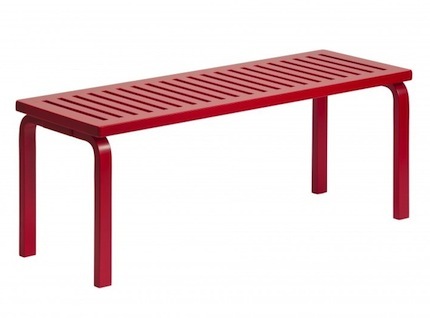 EUR 109,500) is presented to Scandinavian designers. Designer of the moment Harri Koskinen is opening the autumn season at Galerie Forsblom with an impressive exhibition of never before seen industrial sculptures. 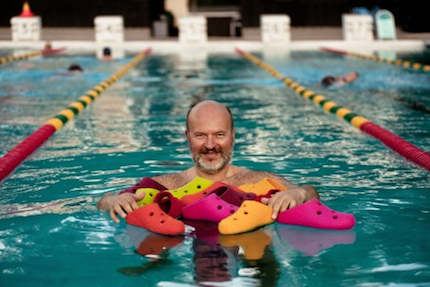 Finnish designer and artist Harri Koskinen received the world’s largest design prize in 2009 – the Torsten & Wanja Söderberg Award. 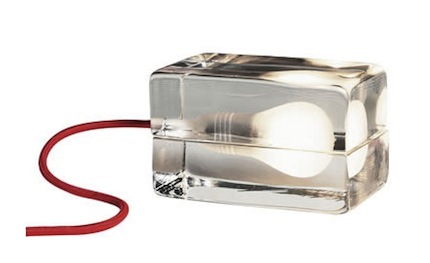 Worldwide, Koskinen is known for his “Block Lamp” (1996, producer – Design House Stockholm) or a bulb inserted between two blocks of transparent glass. Since 2000 the lamp has also been included in MoMA’s permanent collection in New York. Small stylish shops or boutiques are an integral part of modern cities, usually located in the centre of the city on streets saturated with fashion, design and art. This interesting exhibition in the private Amos Anderson Art Museum conjures up the romantic and mysterious atmosphere of these special stores, transforming the ‘white cube’ into an environment where interior details are not washed away with disinfectant (as is usually the case in art galleries). 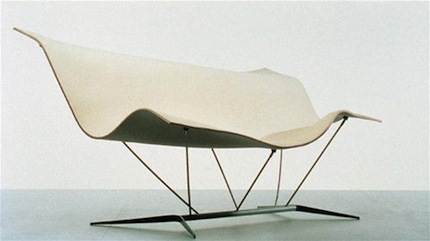 Instead, an atmosphere is created in which art and design can be enjoyed by touching, trying on and even purchasing. The exhibition consists of five small ‘shops’, each created by a local designer and artist duo brought together for the duration of the exhibition, and each ‘boutique’ offers the chance to view art and fashion, art and design alongside each other. Participants: Paola Suhonen–Mikko Ijäs, Minna Parikka–Jani Leinonen, Samu-Jussi Koski–Katja Tukiainen, Timo Rissanen–Salla Salin and Teemu Muurimäki–Tero Puha. Since 1975 car producer BMW has been creating a collection of unique cars – BMW Art Cars. 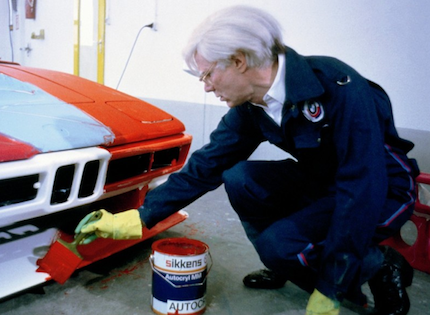 Currently the collection consists of 17 cars, provided with paintwork by famous artists such as Andy Warhol, Frank Stella, David Hockney, Roy Lichtenstein and most recently Jeff Koons in 2010. These mobile sculptures or Art Cars have travelled the world and been displayed in prominent exhibition spaces including the Paris Louvre and the Guggenheim Museum in New York. For two months from 1 September this exclusive and unique collection will be on display in Helsinki, at the Espoo Museum of Contemporary Art, having come straight from the London Olympic Games. It would be a sin to miss this event going on in such a close neighbouring country. Helsinki Design Week as an annual design festival for the Finnish capital has been going on since 2005, when the event was established by Kari Korkmann (who, incidentally, also visited Latvia in 2011, organising the Nordic design exhibition 16 Steps Closer in Riga). The design week will pick up speed in September 2012, because this year Helsinki is the World Design Capital for the entire year. The event brings together both local and international designers, with its most important aim being the creation of a fruitful environment for designers to gain recognition and establish international contacts. The basic theme of Helsinki Design Week is consistent with the foundations of WDC Helsinki 2012 – benefitting society with design that can be actively participated in. During the World Design Capital year, Helsinki’s Galerie Forsblom is offering a programme of three exhibitions with the participation of well-known local designers and architects. The final exhibition is a show of new work by architect and designer Ilkka Suppanen. Through the connection of ancient technologies and modern forms of expression, something timeless will be born within the gallery walls, promise the exhibition organizers. The Norwegian architectural agency Snøhetta, named after a Norwegian mountain peak and with offices in Oslo and New York, has won several awards for its projects infused with innovation and ecological thinking. The large and small halls of the Museum of Finnish Architecture will display Snøhetta’s most significant achievements, including the Alexandrina library in Egypt’s Alexandria (2002), the iceberg-like National Opera and Ballet in Oslo (2008), already a symbol of the city, as well as the National September 11 Memorial and Museum in New York (also called the 9/11 Memorial) built on the spot where the World Trade Centre was destroyed during the terror act of 11 September 2001. 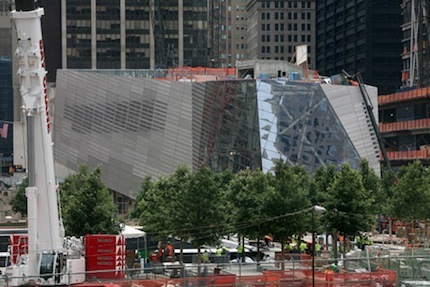 The memorial is set to open in September 2012. Information on completed projects as well as those under construction will be available in the form of photographs, videos, descriptions, drawings, models and interactive learning devices. To conclude the year of Helsinki as World Design Capital, the small hall of the Museum of Finnish Architecture will host an interesting research studio and creative workshop, where a vision of the city of Helsinki – “how it could have been”- will be developed. As part of the Unbuilt Helsinki exhibition, researchers delved into museum archives to search for architectural projects which failed to materialize, and considered their possible relationships and compatibility, thus selecting and visualizing another, ‘possible’ Helsinki. The makers of the exhibition emphasize that the show is not a criticism of the town, but rather an alternative vision, a parallel reality, a city where the most ambitions and utopian ideas may come to life.